The All-NBA Team was released and the implications spread far and wide, helping some players and hurting others. 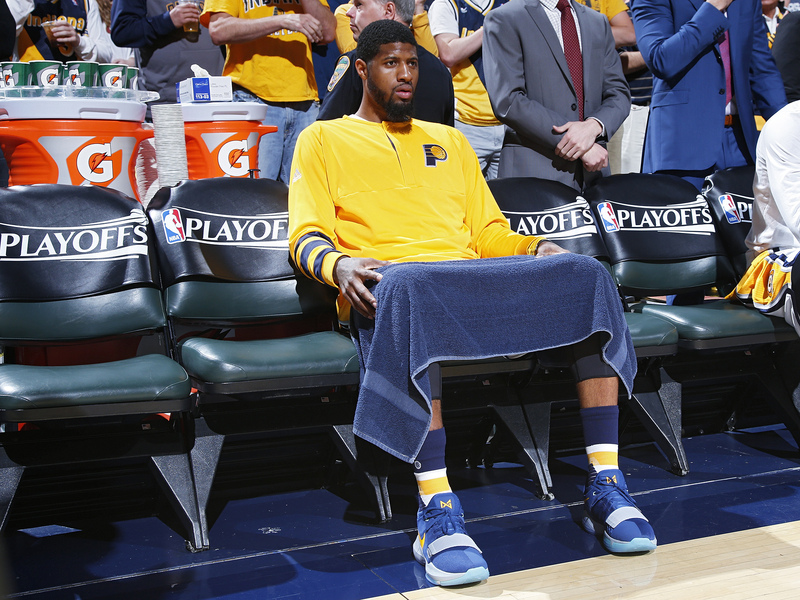 Count Paul George as one of the biggest snubs. 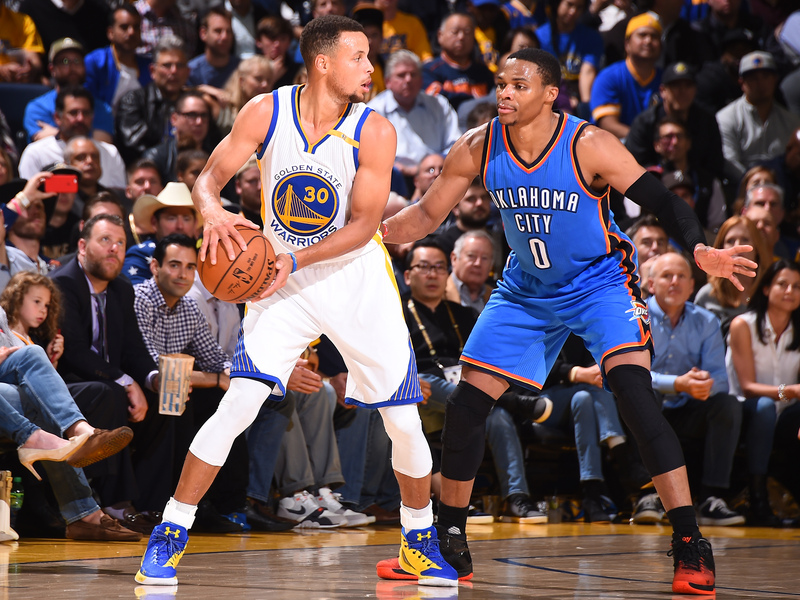 The All-NBA results are in, and so are the quibbles and potential controversies. 1. Biggest snub. Thirteen of the 15 All-NBA selections appeared on my ballot. The only two discrepancies: voters chose DeRozan instead of Paul and Jordan instead of Gasol. Of those two, Paul stands as the biggest snub. With the Clippers and Raptors finishing with identical records, voters likely favored DeRozan for his volume scoring (he ranked fifth with 27.3 PPG) and his better health (he played 13 more games). This is a classic case of the quality of Paul’s minutes being worth more than enough to make up for DeRozan’s quantity advantage. Paul, a clearly superior playmaker and defender, posted a better Player Efficiency Rating, he accumulated more Win Shares, and he led the league in Real Plus-Minus while DeRozan was barely above-average. L.A.’s record with Paul in the lineup (43–18) was also far better than Toronto’s with DeRozan in the lineup (47–27). 2. Other quibbles. My ballot had Gobert over Davis as the First Team center, Green over Durant as a Second Team forward, and Wall over Thomas as a Second Team guard. Those all qualify as minor quibbles. Thomas and Wall was a hotly-debated matter of preference at the time, one that led to a dramatic seven-game second-round series. With Durant, voters simply opted against penalizing him too harshly for his late-season injury, a very defensible decision. Davis edged out Gobert for the First Team nod by just two first-place votes, the closest decision on any of the three teams. While Gobert isn’t an alpha scorer like Davis, his central role in driving Utah’s postseason push and leading one of the league’s best defenses warranted strong First Team consideration. He ranked first in Defensive Win Shares, first in Defensive Real Plus-Minus, second in overall Win Shares, third in defensive rating, first in blocks and fourth in rebounding. 3. Contract implications. The biggest implications from this year’s selections concern two players who were left off: Utah’s Gordon Hayward (a 2017 free agent) and Indiana’s Paul George (a 2018 free agent). Had either player been selected, he would have been eligible to receive $200+ million Designated Player Veteran Extension, which would have given his incumbent team the ability to offer significantly more money than outside suitors. It’s worth noting that George could still qualify by making All-NBA in 2018, but Indiana would have to sit on pins and needles for all of next season to wait and see. For the Jazz, who are coming off the first playoff series victory of Hayward’s career, this is a really tough break. Hayward will be one of the most coveted players on this summer’s market and he’s sure to garner strong interest from the Celtics, who are coached by Brad Stevens, his college coach. While Utah can make a credible case that it has built, and can maintain, positive momentum, Boston is better positioned to immediately compete for a title and it has numerous assets, including the 2017 No. 1 overall pick and Brooklyn’s 2018 pick, to further extend its contention window. The Designated Player Veteran Extension was designed for precisely this type of scenario: to provide a major financial incentive to encourage a franchise player to stay with his current team. Without the ability to completely blow away the Celtics when it comes to the size of their respective maximum offers, the Jazz are left to hope and pray that they generated enough goodwill over the last seven seasons to keep him in town. 2017 NBA Mock Draft: Fultz To Celtics At No. 1? With George set to enter the final season of his contract as a major flight risk on a Pacers team that is unlikely to jump into the East’s top tier, GM Kevin Pritchard—who stepped in for retired president Larry Bird—really could have used a little leverage. Instead, he’s now facing the possibility of another season worth of grumbling from George and a 2018 free agency period in which the Lakers, essentially George’s hometown team, aren’t at a major financial disadvantage in the negotiations. Shouldn’t Thursday’s announcement accelerate Pritchard’s desire to explore George trades this summer? On the flip side, Boston emerges as a big winner from the snubbing of Hayward and George. Their combination of organizational stability, good coaching, existing talent, flexible contracts and future draft picks puts them in prime position to load up this summer. The more All-Stars that are potentially available, the better for Boston. 4. Designated Player Veteran Extension Beneficiaries. While Hayward and George were the odd men out, multiple All-NBA selections are now in position to pull down more cash through the Designated Player Veteran Extensions, including Harden, Westbrook, Curry and Wall. Both Harden and Westbrook signed extensions last summer and delivered MVP caliber seasons this year, possibly setting themselves up for a second straight off-season of greater riches. Curry, who has been one of the best bargains throughout his four-year, $44 million rookie extension, is on track to finally cash in on his back-to-back MVP ascent as expected. By finding his way onto the Third Team, Wall is now eligible to sign a four-year, $168 million extension this summer, per Yahoo Sports, that would kick in for the 2019–20 season. Given Wall’s rise up the charts of the league’s best point guards and Washington’s promising run to Game 7 of the conference semifinals, there could be a shared desire to take care of business and firmly set the franchise’s course for the future. 5. Ballot needs fixing. As noted earlier this month, the NBA’s All-NBA ballot really needs fixing. Long story short: the “center” designation should be removed so that the ballot features two guards and three frontcourt players, better reflecting the style of the modern game and providing a level financial playing field for Designated Player Veteran Extension candidates. If there hadn’t been a “center” designation this year—and voters therefore weren’t forced to allocate any of their votes to centers—it’s possible that George or Hayward would have squeezed onto the Third Team. For SI.com’s full argument on this subject, click here. As it stands, NBA commissioner Adam Silver and other proponents of competitive balance will be sweating out the George and Hayward situations. If Hayward leaves Utah or if Indiana feels compelled to trade George, the new Designated Player system will have gotten off to a rocky start. After a postseason that has been utterly dominated by a pair of Superteams, it would be a pretty bad look for the league office if two stars moved on from their small markets. One could even argue that positions should be removed from the All-NBA ballot entirely given the massive financial stakes available to individual players and the top-heavy nature of the standings. Rewarding the league’s best 15 players, no matter what position they play, could help reduce some of these iffy Designated Player debates. All-NBA isn’t just about bragging rights any more, and complete fairness should take priority over clinging to tradition.